Small spaces have their advantages. Of course, they have their challenges as well. A small space can be cozy and homey, or it can be stifling, even suffocating. But a small space doesn’t have to make you feel like you’re living in a can. If you have a small space in your home that’s making you feel claustrophobic, there are things you can do to make it feel and look larger without spending a huge amount of money. Adding or changing lighting fixtures, reducing clutter, exchanging a bath for a shower in a bathroom, changing the paint and choosing the right color schemes–these are all effective home improvement projects that can help make a small space look larger. Home remodeling contractors have compiled this list that will help you decide which projects are right for your space. 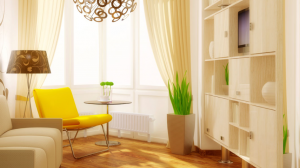 Few things can make a room feel and look lighter and larger than brightening it up. Darkness actually makes rooms look smaller. This fact may not be a problem in rooms that are plenty big, but small spaces don’t need any help making them feel and look even smaller. Consider adding some tracking lighting that adds brightness and better illuminates activities you need to perform in a room. If you’re thinking about a renovation, put skylight or a bigger window at the top of your list. In fact, a bay or bow window would be a great way to not only make a small space look and feel larger; it will also add what is probably a much-needed sitting area, as smaller spaces often don’t have enough of these. Okay, so there is one thing that surpasses darkness when it comes to making a small space feel smaller–clutter. Most of us probably have a little unnecessary clutter here and there, but in a small room, a little clutter can feel like a mountain of mess. Getting rid of things you don’t need in that small space can feel like a complete overhaul that will not only make the room look larger; it can also give you additional storage space for more important things. If your small space is a kitchen or a bathroom, you can probably find appliances or bathroom fixtures that will take up less space. In fact, smaller appliances that are more energy efficient can also shave some cost off your monthly bills. For instance, if your bathroom contains a big bathtub that isn’t getting much use as an actual tub any longer, consider switching it out for a more streamlined shower. Plus, some of the new showers that designers are coming up with these days will not only make that bathroom feel and look larger; they can add significant value to your home. And, as long as you’re adding a shower, consider glass doors that will make the space feel even bigger. If your small space is a kitchen, consider exchanging a huge refrigerator that might not be as useful now, especially if you’re an empty-nester. A fresh coat of paint is a powerful thing. Small rooms that contain dark paint colors often can get loaded down in dreariness and gloom. 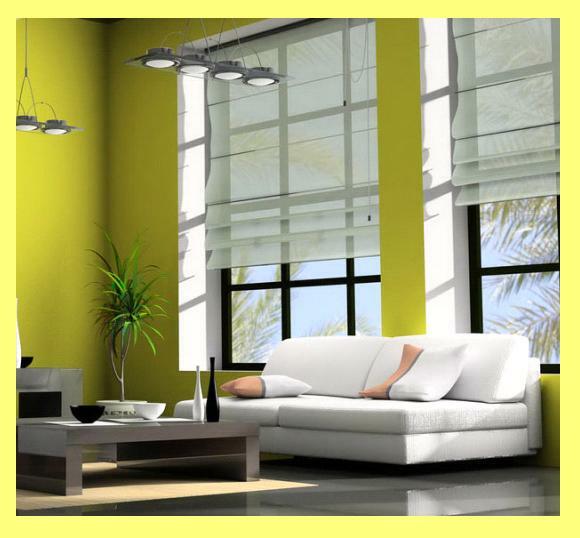 Brighten up that small space with bright paint colors such as soft yellows and whites or ivories. And, when it comes to paint colors, a couple tricks you can utilize to make a space look larger is to add texture, paint the ceiling a shade or two lighter than the walls, and add a little depth by going a shade lighter on chair rails and other accents. This can help add dimension, especially if your cramped space is also too narrow. There really are a lot of things you can do with that small space in your home that will make it look and feel larger. Reducing clutter, bringing in more light from outdoors, changing the paint color and color schemes, even exchanging a big bulky bathtub for a more streamlined shower–these are all very effective ways to make small spaces look larger. For more tips on lightening up those small spaces, especially if your small space is a cramped bathroom that just never felt right, contact a bathroom remodeling contractor near you.